When you open your mouth during a dental checkup, the dentist and hygienist see more than just your teeth. They can tell how well you’re eating and if you’re using tobacco. They also can spot early signs of certain diseases—often before patients know they have them. “The mouth is a mirror of the body,” says Nico Geurs, D.D.S., UAB Department of Periodontology chair and the Dr. Tommy Weatherford/Dr. Kent Palcanis Endowed Professor. That unique view into patient health prompted the creation of the UAB Dentistry Wellness Clinic, which supplements regular oral exams with screenings for major health risks including high blood pressure, sleep and nutrition issues, diabetes, and tobacco-related disease. Opened in 2016, the clinic now sees 90 patients each month. Geurs, who directs the clinic, says the School of Dentistry is taking a national lead with this combination of care. Many diseases can show their first symptoms in the mouth and can be discovered through routine dental examinations, Geurs explains. 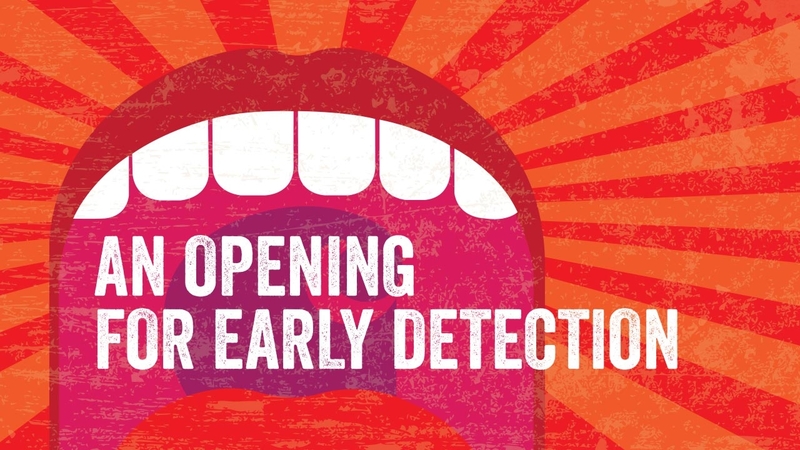 Early detection of these diseases, which include diabetes, leukemia, and oral cancers, can improve treatment outcomes. While Geurs and his staff cannot diagnose medical conditions, they can recognize signs and recommend that patients seek appropriate diagnosis and care from their physicians. Ginger Sebert, the clinic’s full-time wellness hygienist, acts as the clinic’s central nervous system, according to Geurs. She conducts both dental exams and wellness screenings. “Ginger excels in compassion, clinical skills, and knowledge about oral health impact on overall health,” Geurs says. • Discover all of the School of Dentistry's services for patients. • Give something and change everything for UAB's oral-health professionals and the patients they serve.